I was here for the Forum on China-Africa Cooperation (FOCAC), when it was held in Beijing in 2006—a very interesting and important occasion. It was a forum that laid the foundation for development and cooperation between China and African countries. A number of projects were launched, especially in the domain of training. Many youngsters from Cameroon and other African countries went to China—there were several exchange programs that had started. Today, I'm here in China again, to attend the 2018 FOCAC Beijing Summit. The China-Africa relationship has progressed greatly in the years since the first summit. The cooperation and friendship between the two sides have grown faster than one had earlier imagined. I've been following these developments in the media and the progress has been tremendous—there is a Chinese project happening in virtually every single sector in Africa. The FOCAC has enhanced the relationship between China and Africa, and through it, enabled African countries to take advantage of the development that China brings to them, and work towards developing as fast as China. Another aspect of China-Africa relations that is of great significance is the Belt and Road Initiative. The further development of this Initiative will mean the building of stronger bonds between China and Africa. As two partners work more closely together, there are some things that we need to keep in mind to ensure this relationship realizes its maximum potential. Efficient management of resources is key. The resources from China that are at the disposal of Africa need to be utilized well in order to improve the living conditions of the people of African countries. The infrastructure set up by Chinese companies must be properly maintained, and proper training in it should continue to be given to the local workforce. When it comes to China-Africa relations, Ethiopia plays a key role. The country is known as the capital of the African continent. Its capital, Addis Ababa, is something of a menu of Chinese companies. There are over 450 projects; there’s the Addis Ababa-Djibouti Railway, as well as 15 industrial parks. There is something in almost every sector. Wherever you go in the city, you can see constructions by Chinese companies taking place. It is a great window to the development taking place in Africa, thanks to the strengthening and deepening of China-Africa relations through the FOCAC. This relationship is not limited to only economic cooperation but also cultural and educational exchanges. The Confucius Institute for learning Chinese was recently started at the Addis Ababa University. I have colleagues who studied subjects like politics in China, and then came back to Ethiopia to use what they learned. 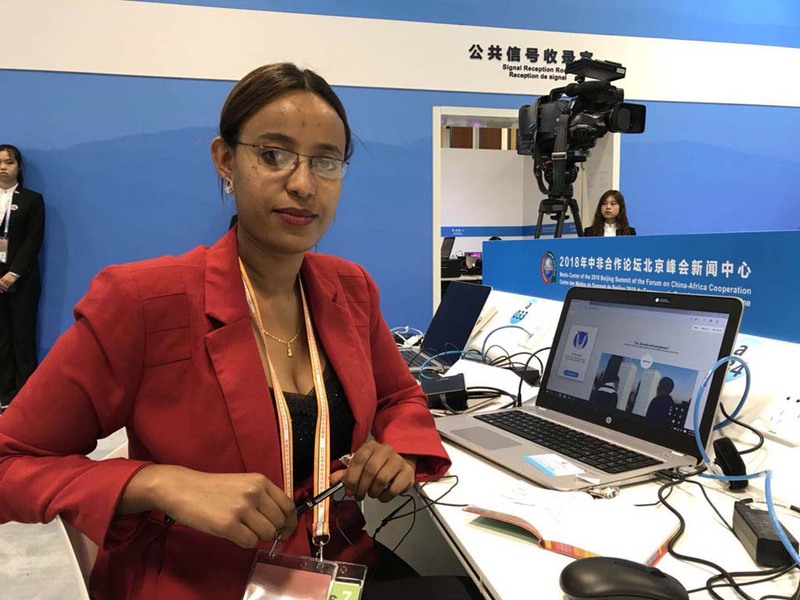 So many young Africans study in Chinese universities, and then work in Chinese companies back home—acting as a bridge for the locals and the Chinese workers training them. The role of the Forum on China-Africa Cooperation in bolstering a strong bond between China and the African countries is a significant one. There is Chinese investment in so many sectors across the country—economics, agriculture, fishery, and infrastructure. There are new jobs being created, more companies that are being set up, and more training that is being provided to African employees by Chinese teams. I particularly wish to have my country’s tourism sector be more widely recognized. Tanzania is a beautiful place with so much untapped potential for tourism. I want more and more people to visit, and contribute to boosting its economy. Its deepening relations with China will help give it more visibility.